LOS ANGELES — The cerebral interstellar saga “2001: A Space Odyssey” and the android drama “Blade Runner” are among President Barack Obama’s favorite sci-fi films and TV shows. Obama shared his must-watch list of movies and TV shows to “expand your mind to new horizons” in the November issue of Wired magazine. 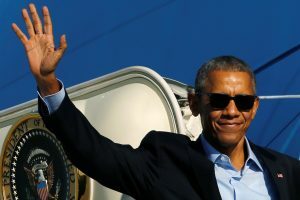 Other films on Obama’s list included the marooned-on-Mars drama “The Martian” starring Matt Damon and the simulated reality epic “The Matrix” featuring Keanu Reeves.